Are you exploring commercial roofing material options for your property? If so, we can help! Roofing Specialists of San Diego is a licensed, bonded, and fully insured c-39 roofing contractor. We are roofing experts who believe in providing quality customer service and superior work. From energy star savings and rebates to longer manufacturer warranties, there are a variety of ways that you can save money on commercial roofing materials. We have established great relationships with numerous sales reps from a diverse group of manufacturers in the San Diego area and would be happy to assist you in any way that we can. When you hire Roofing Specialists of San Diego, you won’t have to deal with upselling or pushy contractors. We do our very best to offer you the right roofing materials that meet your needs and come in at or under budget. You have total control – we’ll meet with you to discuss at least two different roofing materials and will go over the project details. Then our sales staff will price out the optional commercial roofing systems, will answer any questions and help you make the final decisions. We can install Single Ply and Torch Down roofing materials such as Duro-Last PVC and Certified Duro-Last Installer. The normal color of the roofing membrane is white, however, we offer a number of different colors for you to choose from including faux tile and asphalt. PVC membranes are made of strong, stable, and durable material that is generally heat-welded to create a long-lasting structure. Other benefits of PVC roofing include fantastic puncture, heat, and bacterial growth resistance. They are also able to prevent plant roof penetrations. TPO is usually referred to as a “roll good system”. It is one of the least expensive and most popular roofing products available. 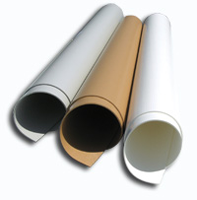 TPO membranes are made of laminate and are white on top (which makes it a great heat reflector) and gray on the bottom. 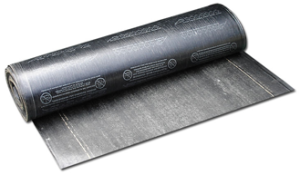 The roofing membrane is either mechanically attached by screws or fully-adhered with glue. App Torch Down Systems are a waterproof commercial roofing material that is known for its strength, elasticity, and weatherability. This material can be applied using heat welding, and it is one of the most cost effective, resilient, and durable roofing materials on the market. This roofing system provides tremendous flexibility and is the most customizable low-slope commercial roofing product. SBS Torch Down Systems can be installed using hot asphalt, cold adhesive, or heat welded. 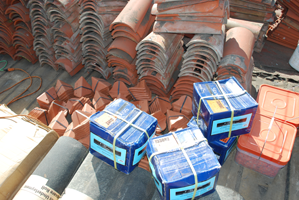 Clay tiles are incredibly durable and outperform all other roofing products. This type of roofing is made from 59% recycled raw materials, so it is eco-friendly and 100% recyclable. There are also a variety of cool roofing rated colors that you can choose from. Concrete tile is a sustainable roofing system that offers a wide range of energy saving cool roof colors. Concrete Tile can also remove smog and inhibit mold and algae growth. This roofing material is affordable and doesn’t require extensive maintenance. Shingle roofing materials are the perfect option for HOA’s, Motels, small commercial properties, and apartment complexes. The shingles come in a wide variety of colors and designs, so you can customize their look to fit your building. Along with the great roofing shingles, Roofing Specialists of San Diego are proud to offer the Owens Corning Total Protection Roofing System. As an Owens Corning Preferred Contractor in San Diego we ensure that all of your roofing components work together to increase the longevity and performance of your commercial roof. A commercial roof coating extends the lifespan and warranty of your roof. Coating typically runs around half of the cost of a complete roof replacement, so it is well worth the investment. We use Title 24-compliant roof coatings that offer reflective cool roofing which cut energy costs while helping the environment. Don’t Forget to Ask Us About Cool Roofing! From clay and concrete tiles to asphalt shingles, our cool roofing options can decrease the cost of your monthly energy bill. Roofing Specialists of San Diego frequently helps property management companies, Homeowner Associations, commercial property owners, and building managers in San Diego County select the correct roofing materials for their facility. Along with these great roofing materials we also offer expert roofing installation, knowledgeable commercial repairs and a variety of maintenance programs. Contact us today for a no-obligation, free consultation! Regardless Of The Type Of Roofing Your Needing Worked On Or Replaced, We Can Help! We can handle and size of job and we can install all types of roofing materials throughout San Diego.